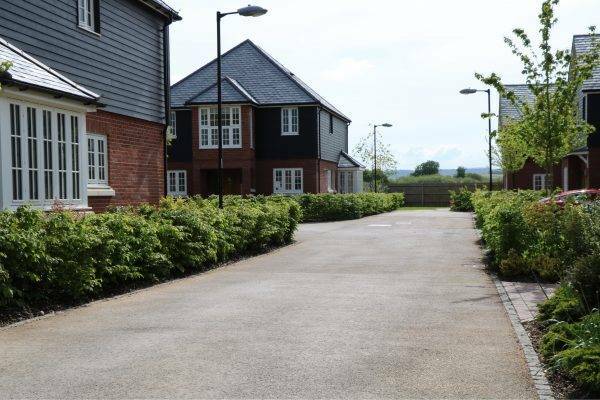 NatraTex Cotswold was specified by Linden Homes for decorative paving at their residential scheme at Cholsey Meadows in Oxfordshire. 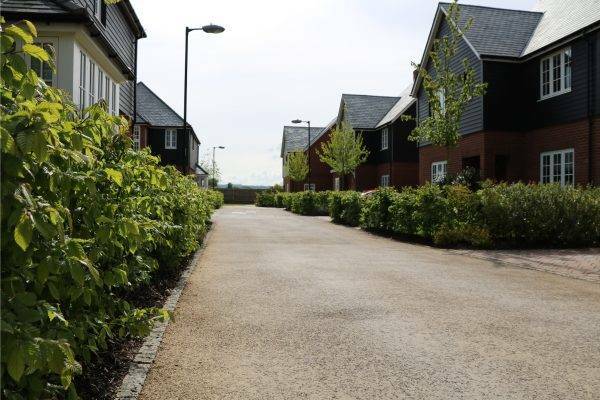 NatraTex was specified to create a smooth, durable surface for residents and was applied to roads and pathways around the estate giving a decorative yet subtle appearance. 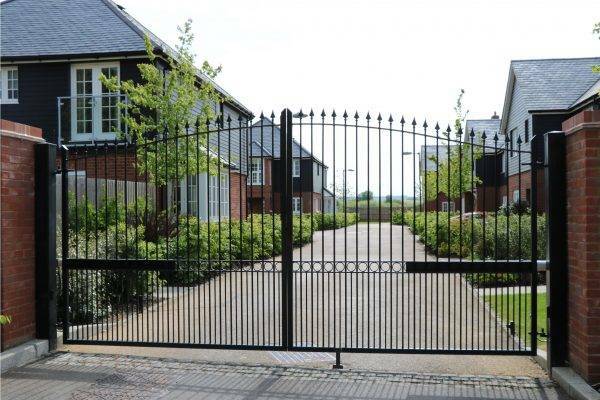 The majority of NatraTex was used in Thames View, Cholsey Meadows which is at the end of the estate and situated behind an electronic gate. 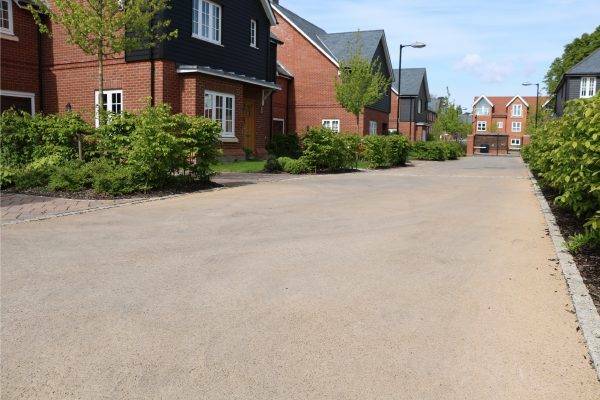 With the River Thames running just behind the estate and flowing fields encompassing the village of Cholsey; it was clear that NatraTex had be to sympathetic to the environment yet hard wearing and durable. This development has to be seen to be properly appreciated. NatraTex is virtually maintenance-free and maintains its colour for a long-lasting finish. This smooth surface is also much safer that other alternatives as it is resistant to cracks and potholes, preventing any trip hazards. 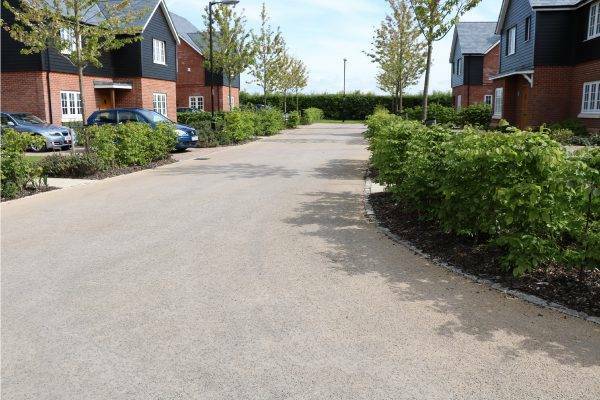 NatraTex is not a resin bound or bonded product but it shares similar characteristics to that of conventional macadam, being laid at the same depth and with sub layers (base and binder course). This results in a multipurpose surfacing material that would be perfect for use on highways, footpaths, playgrounds, MUGA, cycleways etc. NatraTex is available in a variety of colours and grades depending on your scheme. 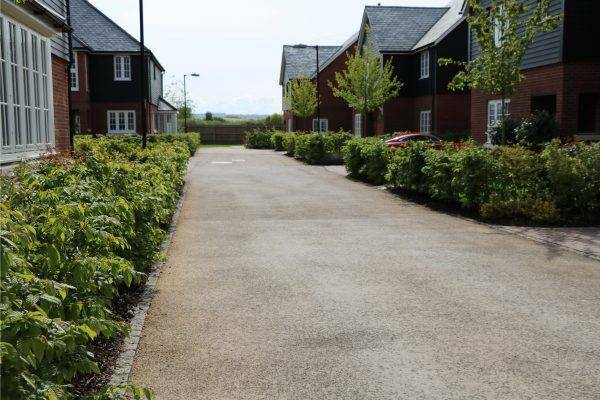 For more information on how NatraTex decorative paving could benefit your project please visit our website or give us a call on: 01594 826768. 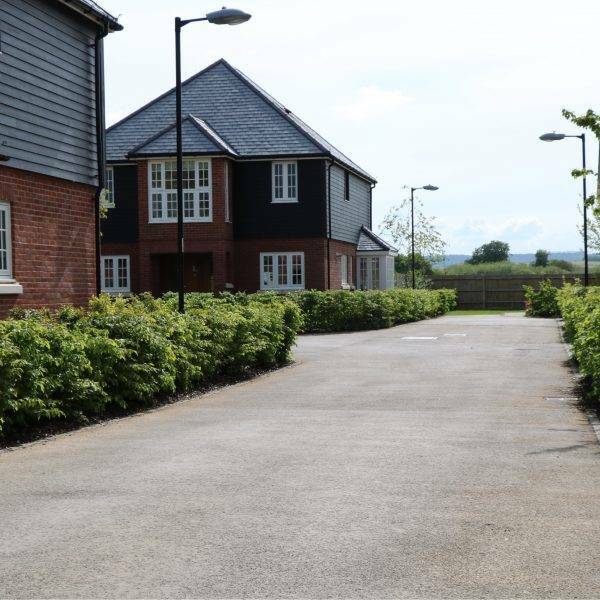 For more information on NatraTex Cotswold decorative paving please complete this form and a member of our dedicated staff will get back to you as soon as possible.